Westport, CT — November 22, 2013 — FutureMark® Paper Group, North America’s leading provider of responsibly made recycled paper, today announced the continued expansion of its customer roster among leading retailers, premier publishers and marketing services providers. The company reported new business wins in 2013 from Bed Bath & Beyond and Menards, as well as increased volume from existing customers such as TIME Magazine, Gannett and Sam’s Club. FutureMark also made notable strides in the educational publishing market in 2013, with 50 percent year over year volume growth, including new or expanded orders with Houghton Mifflin Harcourt, Reed Elsevier and Zaner Bloser – adding to its existing work with Scholastic and Wiley. As part of broader green initiatives among K-12 schools and higher education institutions, there is growing interest in high-recycled paper options for educational textbooks and instructional materials, most of which have traditionally been printed on conventional, or virgin, paper. A small portion of these materials may contain paper with 10-20 percent recycled fiber – technically qualifying them to be labeled “recycled.” High-recycled paper, however, is comprised of at least 90 percent recycled fiber and looks, feels and performs as well as the lower- or non-recycled options. 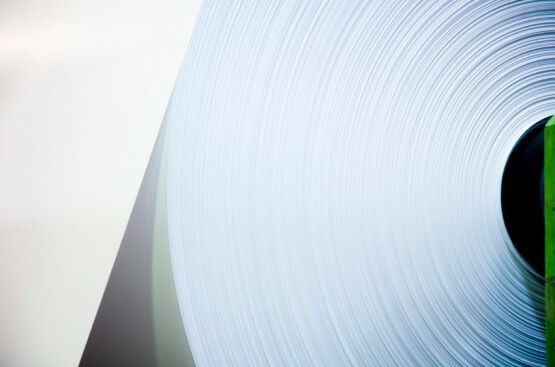 Contributing to the company’s recent growth and positive outlook is FutureMark’s newest product: Future JetTM, the industry’s first high-recycled, coated digital inkjet paper. Compatible with both dye- and pigment-based printers, Future Jet offers publishers and commercial printers excellent print quality on the greenest paper available. FutureMark Paper Group’s two manufacturing facilities in Michigan and Illinois produce 90- to 100-percent recycled papers used in books, catalogs, magazines, retail inserts, office papers, labels and promotional mailings, as well as in fast food and commercial packaging applications. The company’s responsibly made printing and packaging papers have the highest recycled content for products of their type made in North America.